Wednesday, June 6, 2018, 3 – 4 p.m.
Join us for a book group for kids ages 5-10 at the Northeast Branch. Parents and caregivers are welcome. This month's theme: Summer! Come hear a summer story, participate in a cool activity and talk about the summer story that you read! 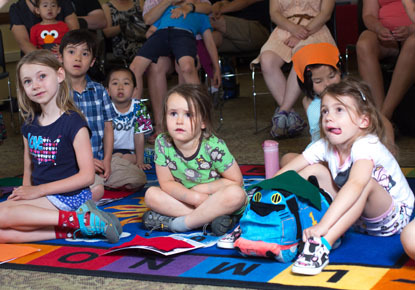 Our Kids Book Group includes kids of diverse ages and reading abilities. Instead of a single book for our discussions, we pick a wide range of books based on a theme. Kids are welcome to read one of the books from our selection or one of their choosing within this month's theme, Summer! This group meets the first Wednesday of each month from October through June.